The year is 2144, and the world is powered by sport - politically and practically. Each community owes its prosperity or otherwise to the success of its teams and athletes. A person's class is determined by their aptitude for sport. Once their useful life as an athlete has expired, they are placed in stasis at an age predetermined by that class. But not in Wales. Separated from the rest of the world by a huge wall, the Welsh still play games for joy. They play, they carouse, they love, they die. They have fun. 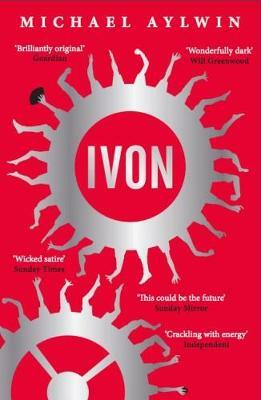 Of all the Welsh, the greatest sportsman is an unreconstructed genius called Ivon. When the chance arises to become the first Welshman to cross the great divide into England, he cannot resist. His parents, who were exiled from England before he was born, know what London will do to him. They are desperate to have him back. But London will not give up an asset like Ivon so easily. Ivon is a celebration of where sport has come from and a satire on where it is going.